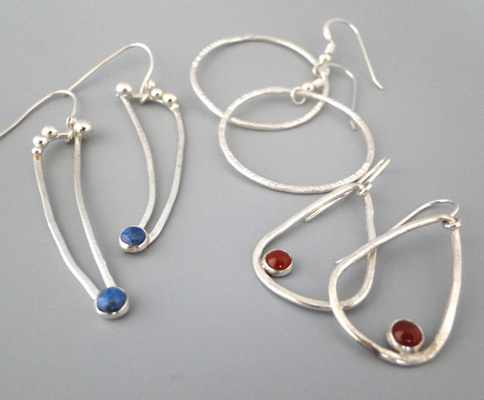 Learn to fuse Argentium silver while fusing three pair of earrings! We will design, form, fuse, and texture. You will be able to solder and set a small set of stones to one of your designs. Prefab sterling silver ear wires are included in your kit.